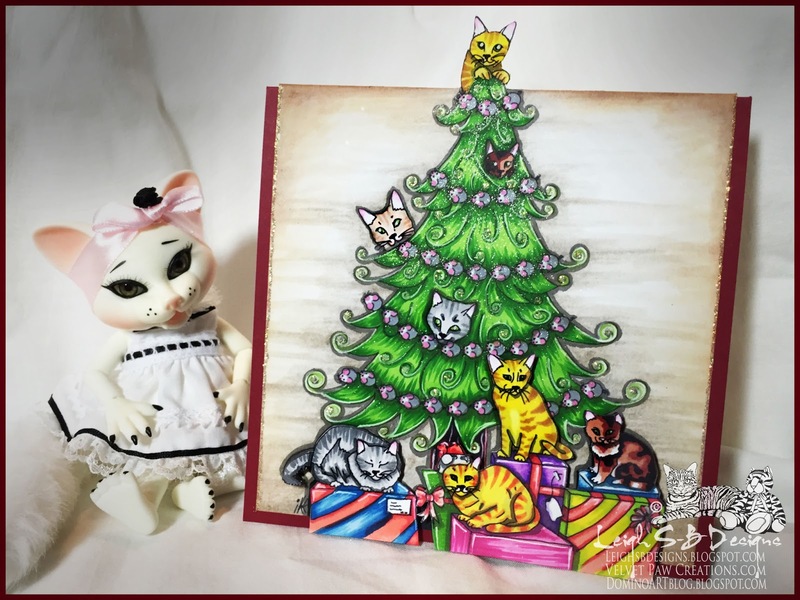 Velvet Paw Creations: Merry Catmouse! 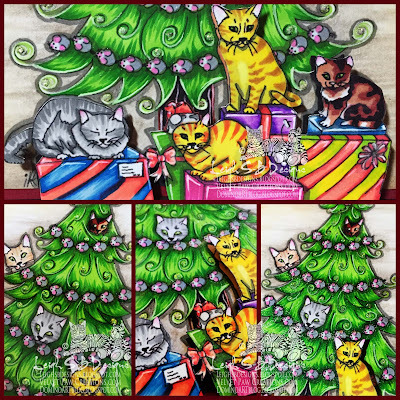 There's a new challenge blog in town dedicated to fabulous felines of any kind and I LOVE kitties so of course I'm thrilled to have somewhere to indulge my cat stamp festish every month! Pop on over and check it out...it has a name that will raise your eyebrow and quaranteed never to forget LOL! Show Us Your Pussies - Cat's Only Challenge Blog! This one involved lots of fussy cutting and layering. I used Copics to colour the image with a white gel pen for hightlights and a Derwent pastel pencil and Dove Blender pen for the background as well as a touch of Tea Dye Distress Ink around the edges. For loads of festive sparkle I used clear Wink of Stella on the tree and presents and crystal Stickles glitter glue on the tree swirlies and the two side edges of the card. I love this image and you did a fab job coloring it! 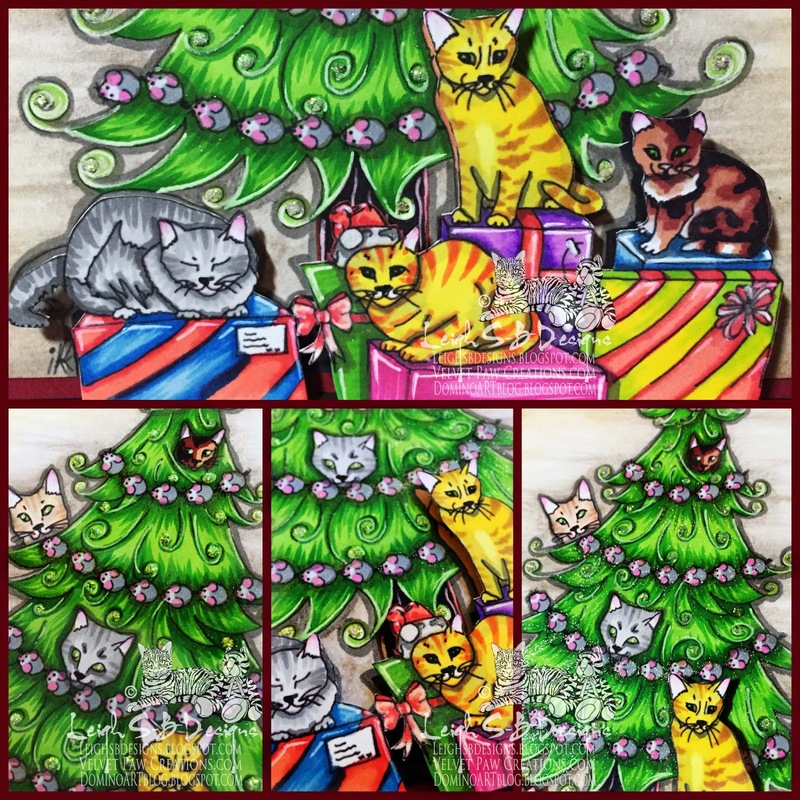 Gotta love a cat challenge blog! 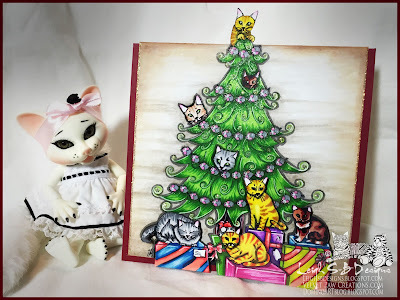 Love this tree and cat image, wonderful colouring, fussy cutting and layering!